In a cocktail shaker, muddle together sugar syrup and fresh mint leaves. Add lime juice, rum or vodka and De Kuyper Sour Apple Liqueur and shake well. Pour into a chilled highball glass half filled with crushed ice. 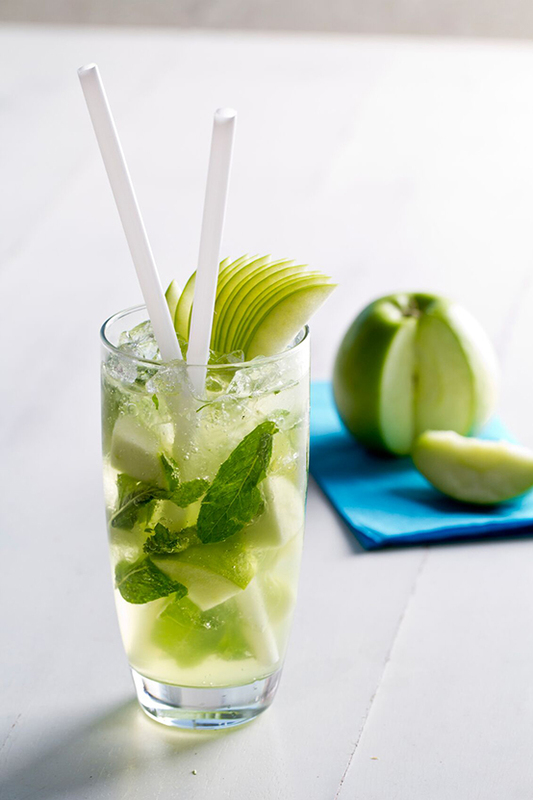 Top with skewered green apple slices. Serves 1.